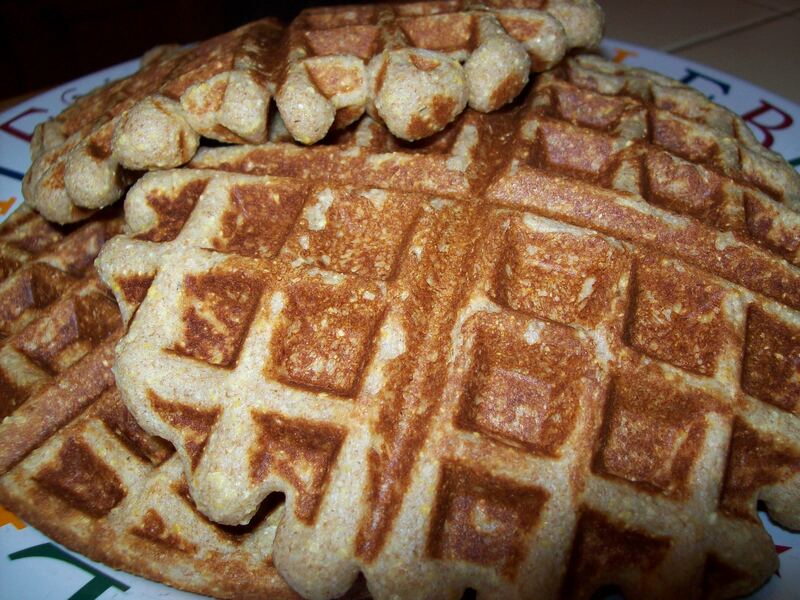 Heat waffle iron according to directions. In a large bowl, whisk together the dry ingredients (wheat flour through sugar) until combined. Add the honey and butter and stir thoroughly. Add the eggs, mixing until just combined, and gradually whisk in the milk until the batter is thicker than a pancake batter, but not quite as thick as muffin batter. (It shouldn’t be able to form a ribbon when poured, but should spread slightly on its own when scooped out onto the waffle iron.) When the batter is ready, portion it by 1/2 cup measures onto the waffle iron, cooking according to your waffle iron’s directions. Serve warm with honey or real maple syrup.